I was given this curiosity by some friends recently. It’s a dual-format 120 roll film camera produced originally by Barnet-Ensign for use by the armed forces during WW2. 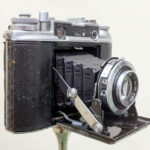 In 1945, it was one of the first new cameras on the British market but it never really captured the public’s imagination and was discontinued in 1949. Apart from being dual-format – 6x6cm(12 exposures) or 6×4.5cm(16 exposures) selectable by flipping barn doors inside the camera before loading film, with a sliding viewfinder mask as well – it has an unusual focussing mechanism. 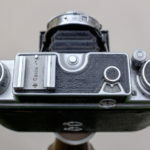 The lens and bellows remain motionless when the coupled-rangefinder focussing knob (top left viewed from the back) is turned and the film plane is moved inside the camera. A spring-loaded pressure plate ensures the film is held in the plane of focus. 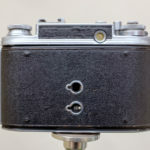 Two red windows on the rear indicate 12 or 16 film advance markings, but there is also an ‘auto-stop’ film counter (usable only with 6x6cm) on the top that allowed the film to be wound on without having to peer into the red window – useful on the battlefield no doubt! For some reason however use of this ‘auto-wind’ feature limited you to 11 exposures of 6x6cm on 120 film. Four different models were released during its short lifespan. 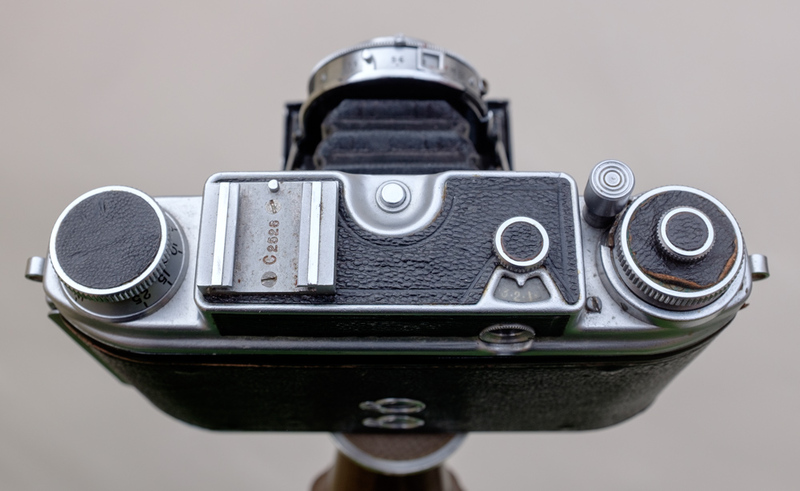 It’s unclear exactly which one this is but it appears to be a 1947 Model 2 with a 1949 Model 4 lens and shutter. It’s likely that these were transplanted onto the old Model 2 body at some point. 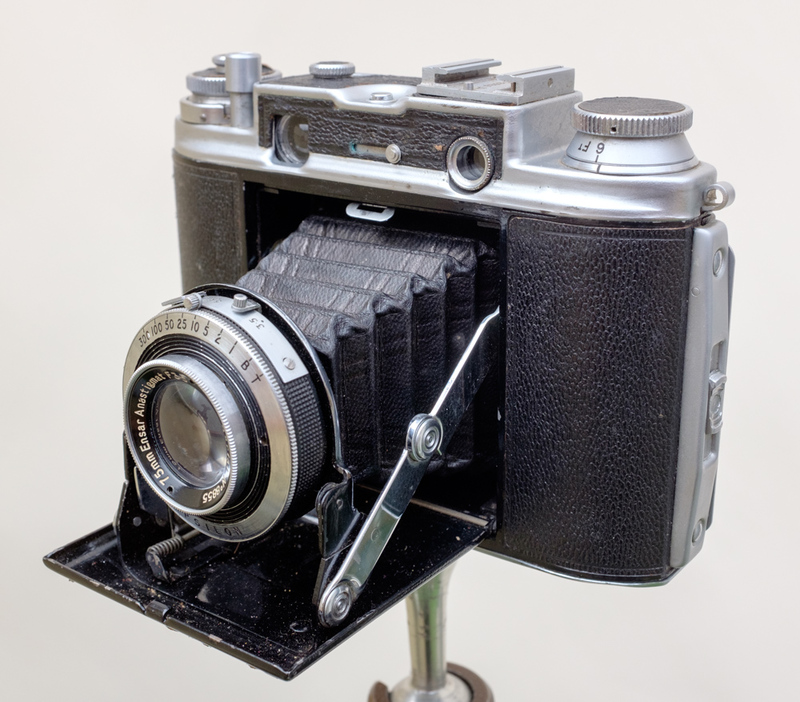 The lens is a perfectly reasonable 75mm Ensar Anastigmat, f3.5 in a 1-300th+B Epsilon shutter. An uncoated lens of course, so flare can be an issue. 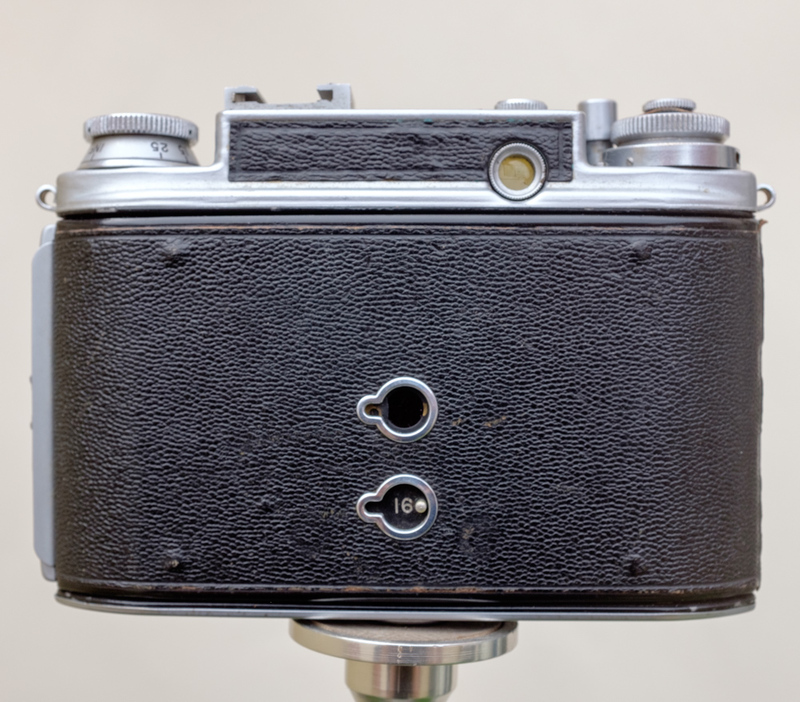 The shutter still works at all but the slowest speeds, a typical problem with old Epsilons. There is a small problem with the auto-stop mechanism that prevents the shutter button being pressed after wind-on on occasions. I have run a couple of films through it though and will show the results in the next post. This entry was posted in 120, Cameras and tagged 120, camera. Bookmark the permalink.